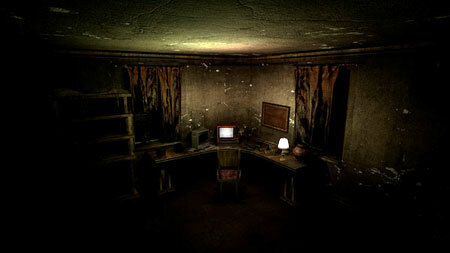 Amberskull is a survival horror anthology developed by Charlie Behan. The game provides you several terrifying experiences, you must overcome 4 unique enemies in widely different environments. In a dusty, dark corner of an old shabby room, a TV crackles to life and a collection of VHS tapes call to you. Prepare to embark on a journey through a dark forest, a frozen wasteland, a mysterious ocean and an abandoned facility. Each location you visit is shrouded in secrets hidden in plain sight. Each location you visit has its own unique feel and challenges. An overarching mystery that is waiting to be solved. After completing an area, you can unlock an extreme remixed version of that area. If you get stuck in the game, check out the video walkthrough and gameplay for the game. This entry was posted in PC Games, Walkthrough and tagged Amberskull Cheats, Amberskull Game, Amberskull Gameplay, Amberskull Guide, Amberskull Hints, Amberskull Review, Amberskull Solutions, Amberskull Strategy, Amberskull Tips, Amberskull Walkthrough by Marvin. Bookmark the permalink.